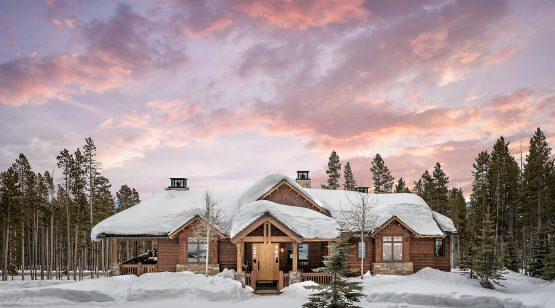 A home in Yellowstone Club’s revered Andesite Ridge neighborhood provides unparalleled luxuries: an escape where crisp, snowy evenings are the backdrop for warm family gatherings, and a private ski chalet with unbeatable ski-in/ski-out access to some of the world’s finest powder skiing at the Yellowstone Club. 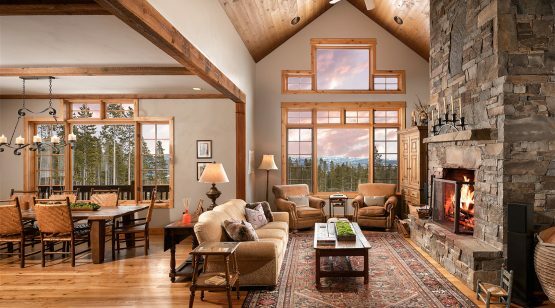 Though countless amenities are nearby, the Andesite Ridge neighborhood maintains the feeling of a secluded retreat tucked in Montana’s lodgepole forests. 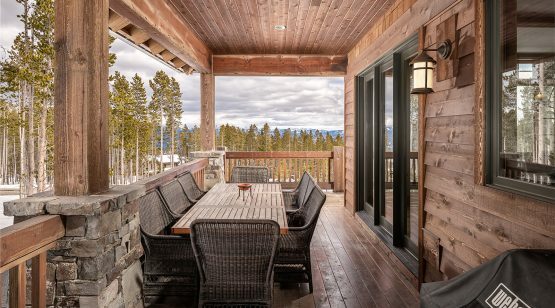 Andesite 145, located on a spacious two-acre lot tucked into a quiet bend on Pumice Road, epitomizes these elements and is known for its breathtaking alpine sunrises. 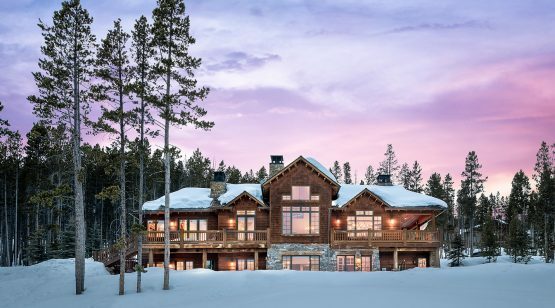 While the Yellowstone Club is beloved at any time of year, it’s a fact that this corner of Southwest Montana boasts some of the best powder skiing in the United States. 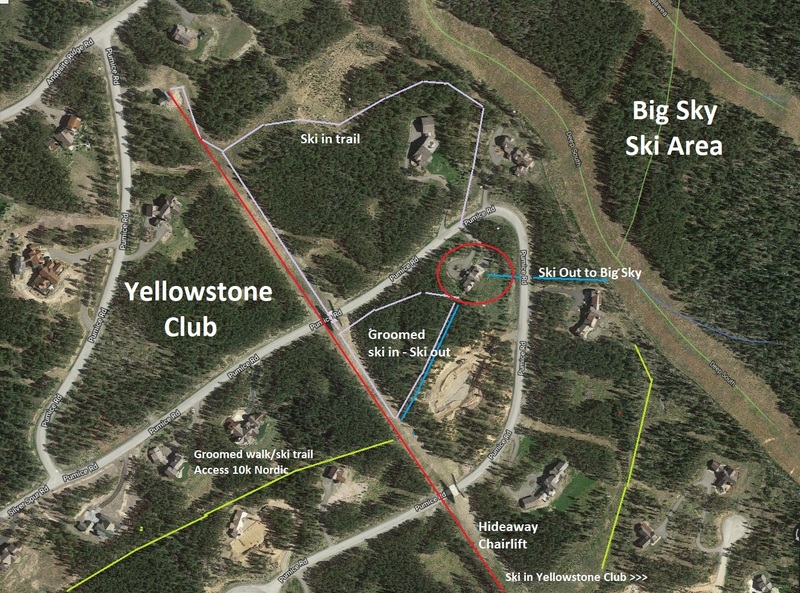 And Andesite Ridge 145 is poised to capitalize on not just one, but two world-class ski resorts, thanks to its truly incredible ski-in/ski-out access to both the Yellowstone Club. 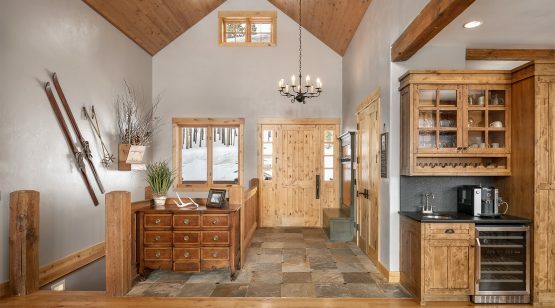 This home’s custom ski room offers ample storage and makes it easy to live the dream of chasing powder. 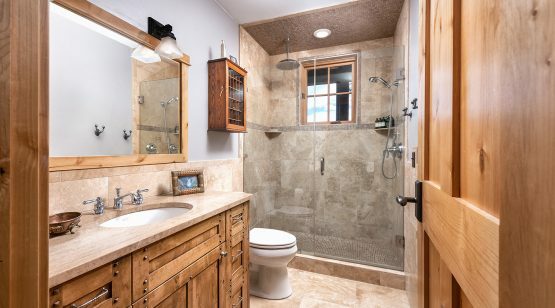 This custom residence offers over 3,700 square feet of living space. 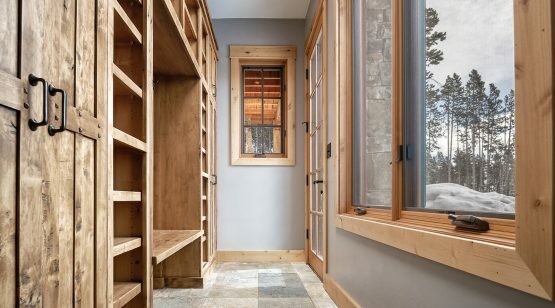 Currently, the home is configured with three bedrooms, though the main-level library space can transform into additional sleeping quarters. 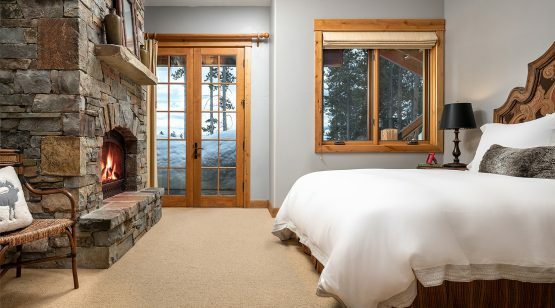 With its mix of indoor and outdoor spaces across two levels, Andesite Ridge 145 provides ample space for large gatherings and family getaways. 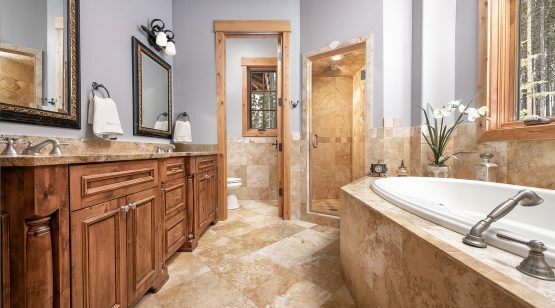 The main level features the master suite and many of the home’s more formal entertaining spaces. 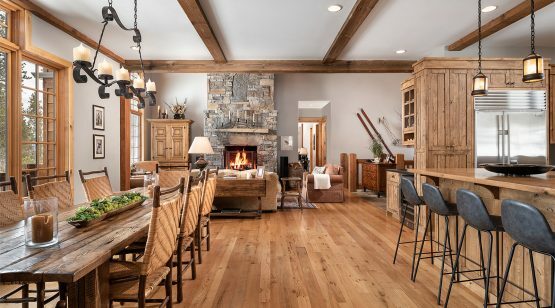 The great room features classic lodge styling, with its lofted ceilings, plush furnishings, and massive fireplace: this is the space to share warm winter beverages and epic tales of adventure. 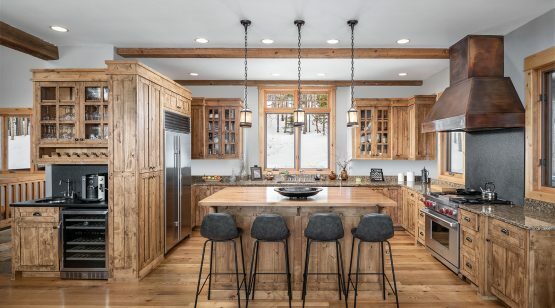 The nearby kitchen is permeated with fine touches, from the Wolf range to the custom copper hood to the wine fridge and coffee nook. 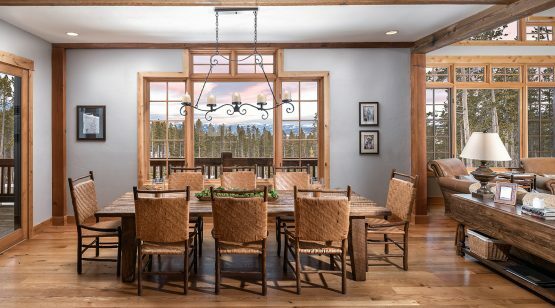 Doors off the dining room open to a large covered deck, adding options for al fresco dining during the endlessly long summer days. 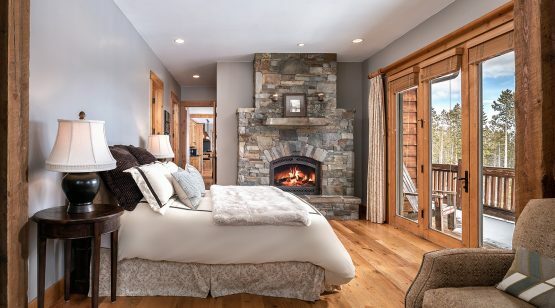 The master suite, on the main level, features a home office nook, large fireplace, and doors that open to the private deck and hot tub. 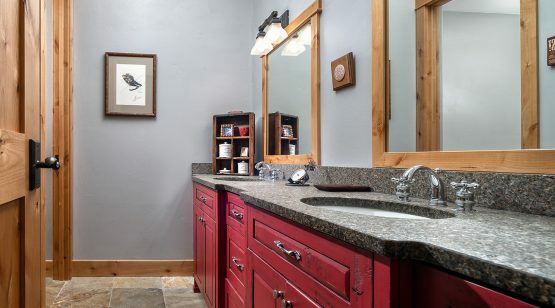 The suite’s bathroom is spacious, bright, and airy. 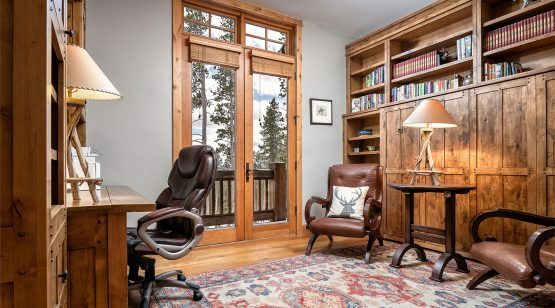 The home’s lower level features the much-loved ski room, adjacent to the two-car garage; enjoy ample storage and walk-out access to neighborhood trails. 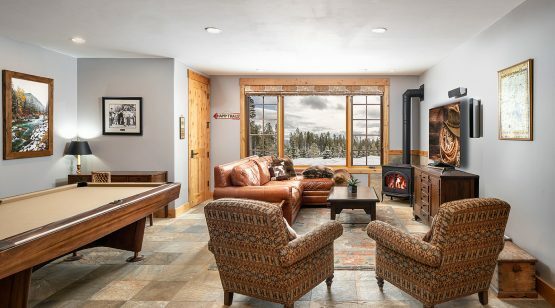 The family room features a classic wood stove tucked into the corner, perfect for keeping the space toasty during home billiards tournaments. 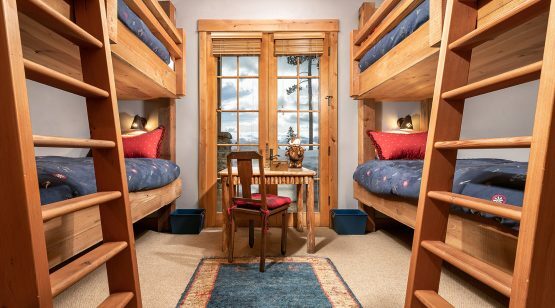 Lower level accommodations include the bunk room, which comfortably sleeps four, and the junior master suite. 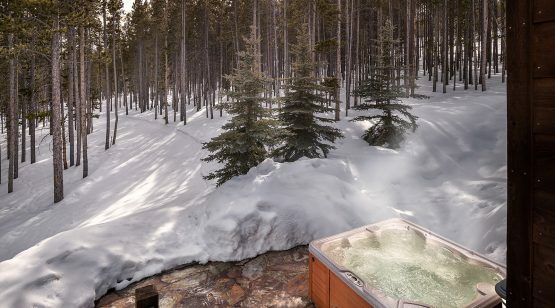 Andesite Ridge 145 embodies the Yellowstone Club lifestyle—adventure awaits right outside the door, but there is so much to come home to at the end of the day. 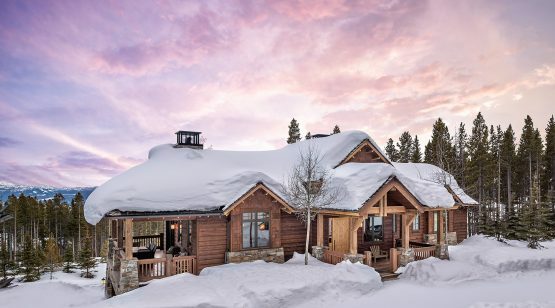 This home is the perfect home base for enjoying the mountain resort lifestyle, with extras like fine dining, concierge services, and abundant recreation opportunities are all within easy reach.